Click on this and then click the little speaker symbol under the German version. 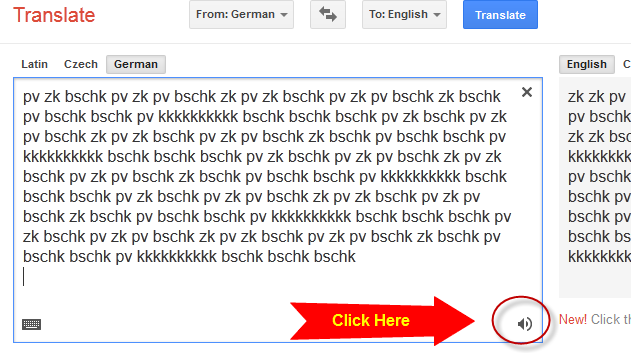 If you wish to do this manually, here is the source text – select German as the language. Be sure to select the voice synthesis option for German, and not the English translation. It reminds me of all the fun my siblings and I had as kids sitting at the computer and playing around with the text speech function.